In May, Inclusion Ireland held its annual general meeting for members and launched the easy-to-read annual report for 2016. The AGM featured a question and answer session with Dr. Cathal Morgan, Head of Operations in the HSE’s Social Care Division. 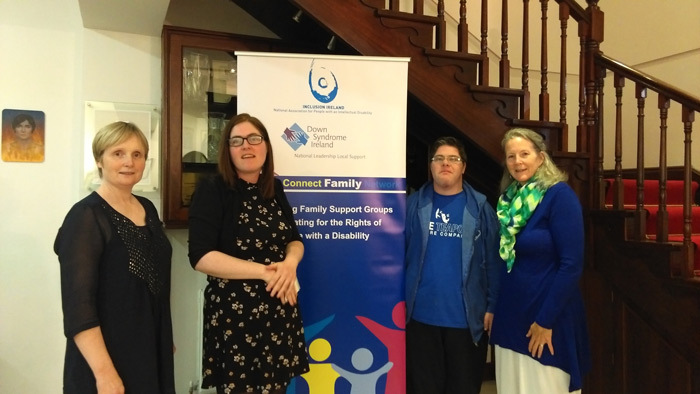 A screening of the well-received movie Sanctuary was hosted by Inclusion Ireland in Birr, Co Offaly. Sanctuary is a film about two people with an intellectual disability who develop a loving relationship. The audience was lucky to be joined by some of the stars of the movie, and a question and answer session with the cast members was held following the screening. Inclusion Ireland hosted a self-advocacy event as part of the Abhainn Ri Festival in Callan, Kilkenny, in July. 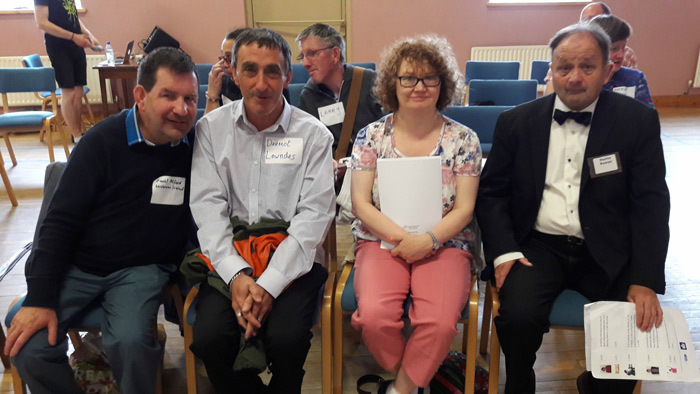 At the event, members of Inclusion Ireland’s self-advocacy subcommittee, Paul Alford, Martin Rowan, Sarah-Jane Lavin and Dermot Lowndes gave a talk to the audience. They were also joined by a local self-advocate, Kathleen Gittens. All the speakers shared their experiences of self-advocacy and speaking up for themselves. Inclusion Ireland hosted a national learning and sharing event in the Academy Plaza hotel, Dublin, in June. The event was a great success with more than 70 people attending. Over half of the people that came to the event had lived experience of staying in or attending disability services in Ireland. The event brought persons with disabilities from all over the country to discuss how we can improve rights for people in services. People with an intellectual disability in the North West of Ireland took part in training to become self-advocates. The participants came from 4 different day services to build their advocacy skills. The training was facilitated by Inclusion Ireland staff, Nóirin and Barry, with support from the Sligo Leader Partnership Company. Inclusion Ireland launched its online Pre-Budget 2018 campaign. In the lead up to the launch, the organisation conducted a public consultation to find out people’s views on what should be in the upcoming budget. Inclusion Ireland developed a number of submissions around these views and sent them to the relevant Government departments. You can read these documents at www.inclusionireland.ie/budget2018. Inclusion Ireland has made submissions to the Department of Health, the National Transport Authority, the National Disability Authority and the Citizen’s Assembly. The submissions let the organisations know how to make improvements for people with disabilities. You can read these submissions at www.inclusionireland.ie/submissions.